The weather has treated us pretty well here in Minnesota during the month of November and into early December. No significant snow has fallen in our neck of the woods and while the temperatures have been cold at times, they have been tolerable by Minnesota standards. With Christmas only a few weeks away, we are now anxiously waiting for winter to arrive. 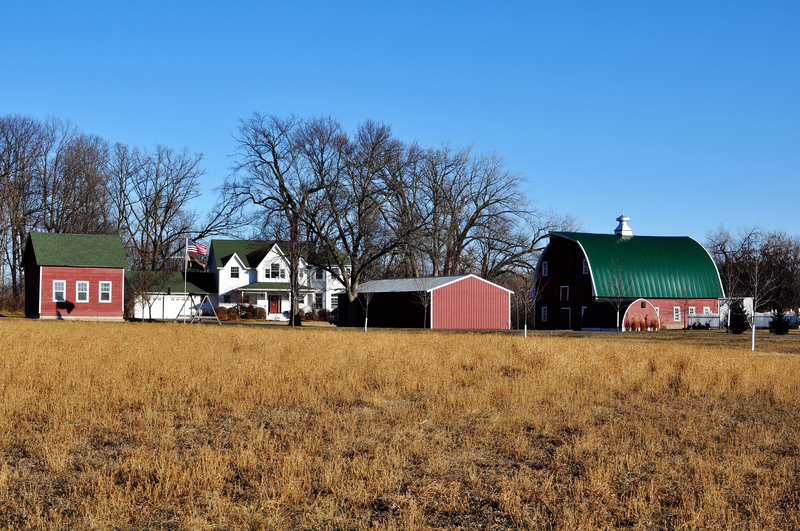 In preparation for winter, we have the farm all buttoned up and ready for the snow. 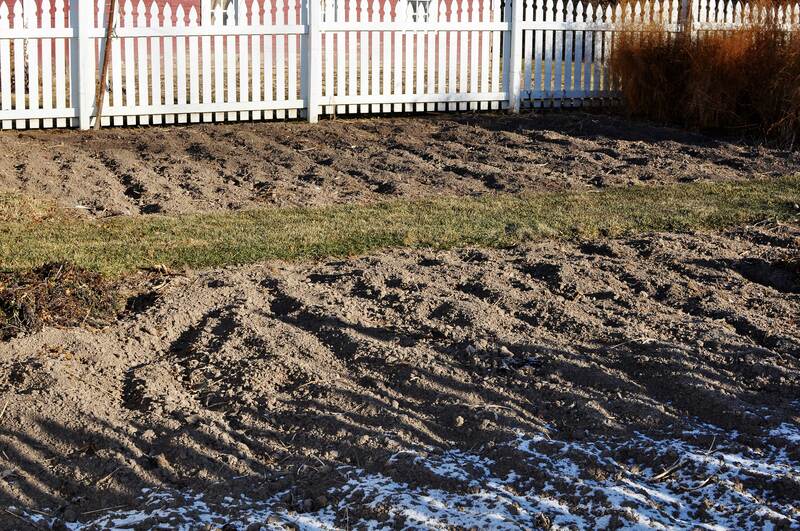 The vegetable garden is tilled and ready for spring planting. We are going to attempt to winter our bees again this year. 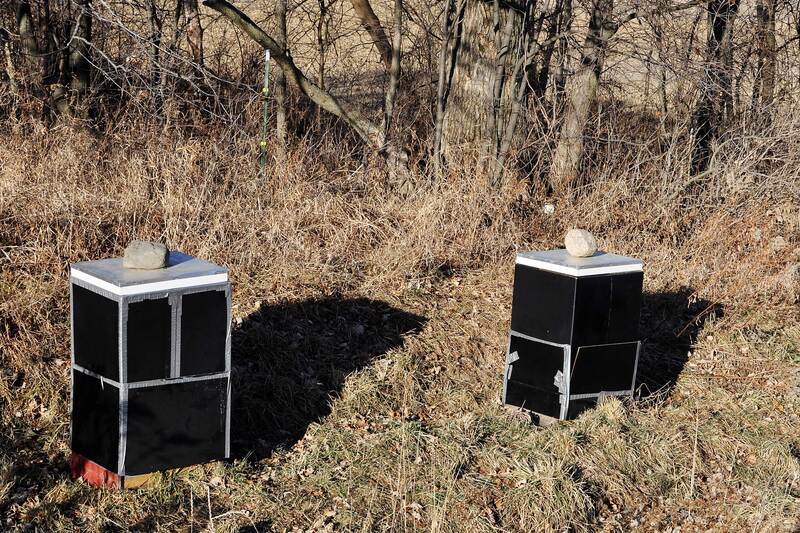 The hives have their black cardboard covers on to help absorb some of those rays from the sun. We have failed the last two years and have hopefully learned a few things along the way. We are hoping they make it to spring! 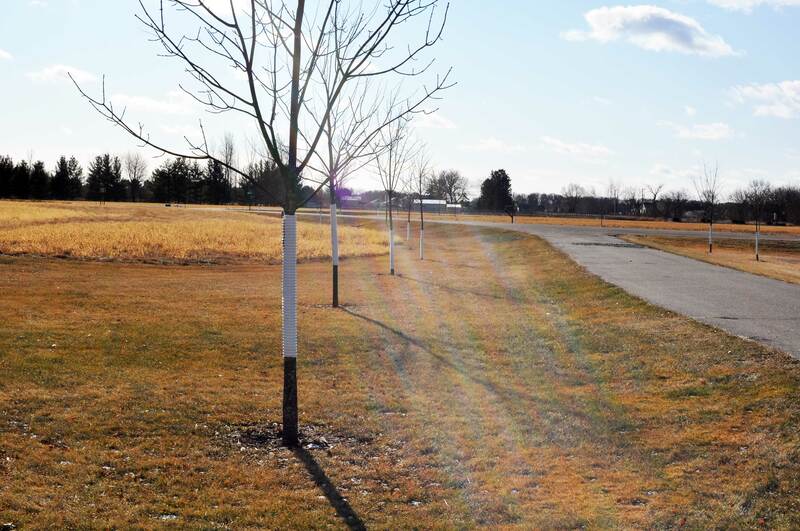 Each fall we put white plastic protectors on the young trees that line our driveway. Our main reason for doing so is to protect the tender bark from the deer that like to rub their antlers on them in the fall. 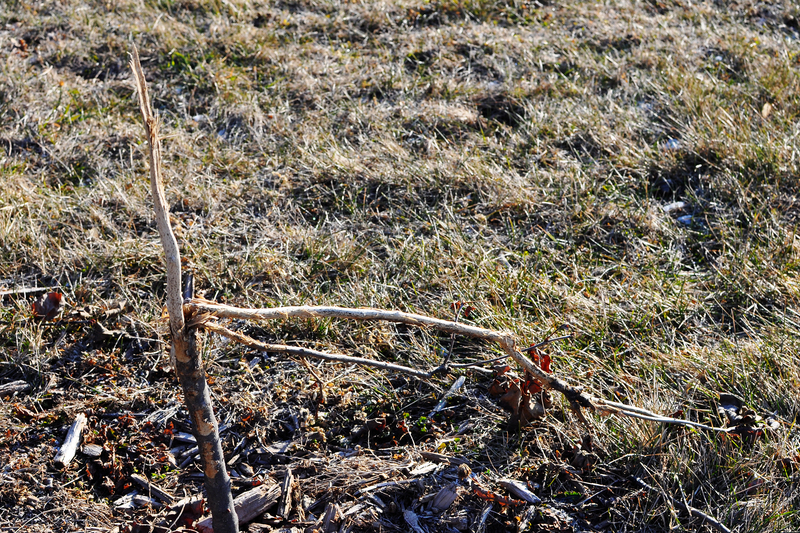 Although we have managed to deter the deer from our trees, this year they targeted my little lilac bushes that I planted two years ago. The deer systematically went down the row and stripped the bark and in many cases, broke off the lilac. 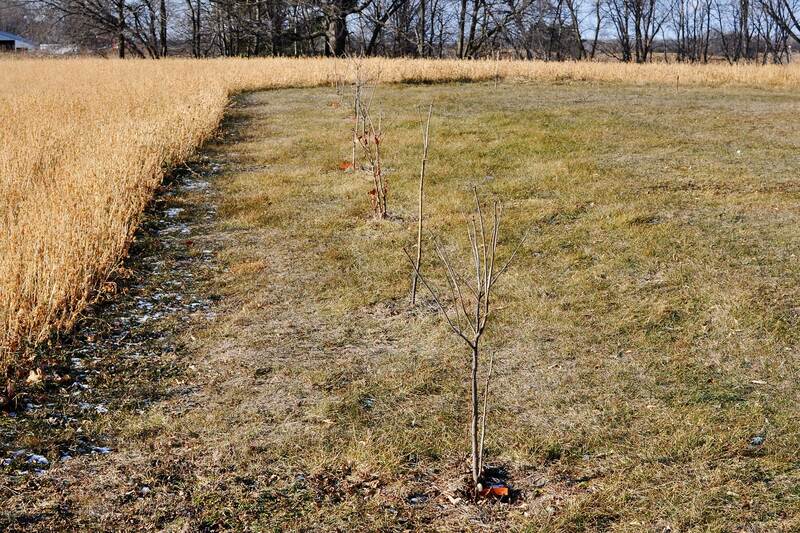 They spared a few of the plants, but most will need replacing in the spring. We have talked about putting up a flag pole for several years, but just never get around to doing it. With our oldest leaving for West Point at the end of June, we decided to finally tackle this project before the ground froze. 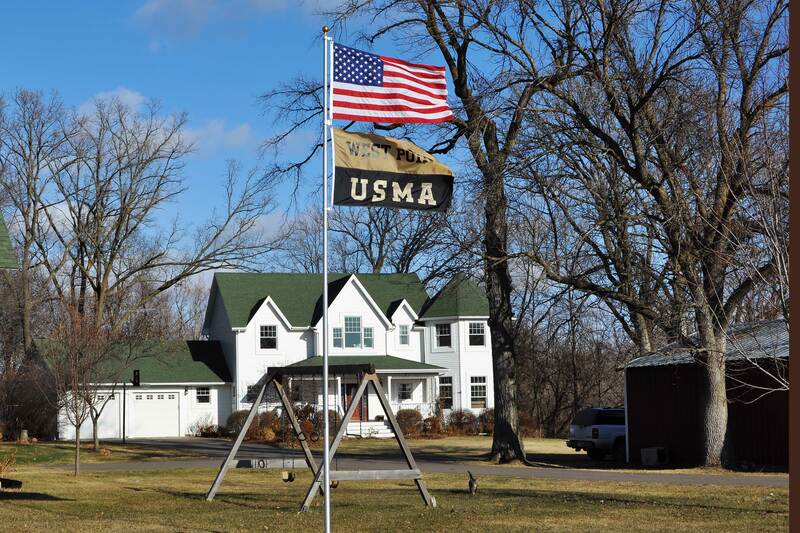 Knowing that we would be putting up a flag pole, we picked up a West Point flag on our trip out to visit in August. We realize that we are not entirely following proper flag etiquette by not having the U.S. flag larger, but we do it anyhow, justifying it to ourselves because our intentions are good. We located the flag pole so that we can easily look out the kitchen window and see the flags flapping in the wind. 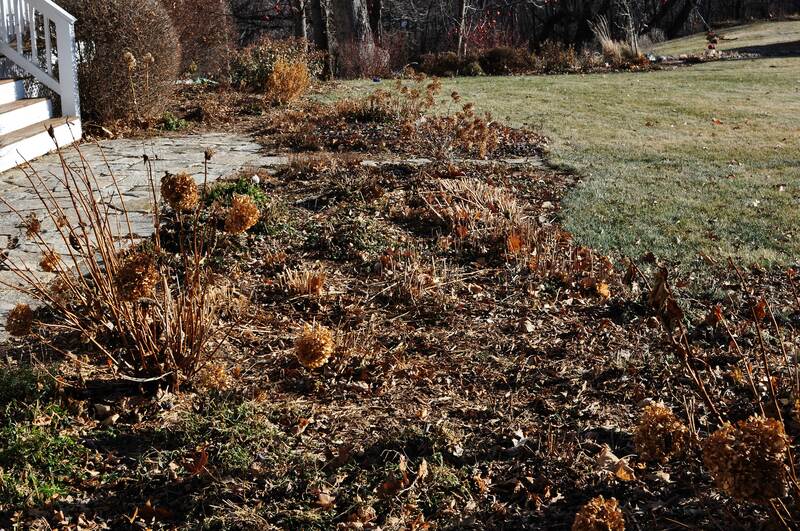 My perennial gardens have also been trimmed up and put to sleep for winter. 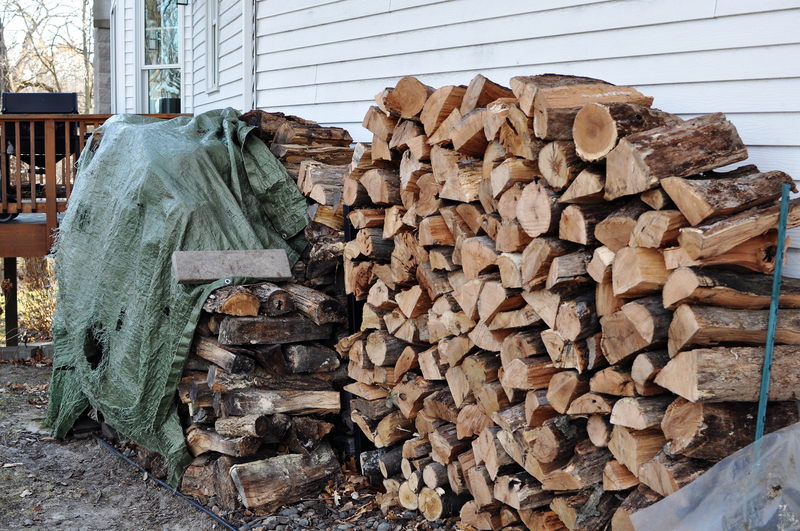 The wood pile behind the house has been replenished and is ready to supply our fireplace all winter long. There is nothing quite like a roaring wood fire on a subzero day in Minnesota to warm your home and heart. And with everything ready for winter around here, now all we can do is just wait. For those of you who need to prepare for winter in your part of the country, I wish you good luck!